Is football for my child? Football is for any child. With the ages we deal with at AW Football Coaching, mainly between 2 and 5 years old, we have found even the most reserved and unsure children have developed a love and passion for the game with Alex helping to instil that enthusiasm. Regardless of level or ability, there will always be a class for your child to attend. Alex has nearly 15 years of experience working with children aged between 18 months and 16 years, and has over this time built a reputation as a very well-respected coach and worker with young children. Alex will challenge children to see how much they can learn and develop while still enjoying the football experience. Alex is a firm believer that children develop at different rates and will, for the benefit of a child, place them in a group where they can gain the basics and enjoy, at their own pace, learning all the skills. Reading the testimonials may also help you choose AW Football for all your child’s footballing needs. What’s the difference between Little Kicks and Super Kicks? Little Kicks classes would suit any child who is looking to begin their footballing journey and acquire the basics all the while having loads of fun whilst learning little kicks, big kicks, wiggle kicks and squashing the ball just to name a few. Super Kicks is for children who have learned all of the basic skills, and are ready to progress, and would like to learn about super skills like pointy toes, big toe/little toe, squash and roll and lots of scoring super goals! Are the sessions drop in or do I have to register? All of the sessions mentioned on the sessions page state whether or not the session is drop-in or you will need to register. Please be aware that some of my sessions are in partnership with the children’s centre services and they will tell you, when you call on the number provided, whether or not space is available on the course. Please follow the link to our sessions page. Kingsdale under 8’s are part of the junior section of Kingsdale FC; a FA Charter Standard club that plays its’ football in Bexley. Kingsdale FC was restarted in 2009 by current Club Secretary & Sunday 1st Team Manager Andy Hammond; whose main aim is to provide affordable football, for all to be involved irrespective of background or ability, and to provide decent facilities and equipment. The vision and enthusiasm from the Kingsdale committee extended the club in 2011 to have a Reserve side. Both adult sides play their football in the Orpington and Bromley Sunday Football League, which is recognised as an FA Chartered league. 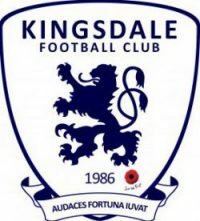 In 2013 Kingsdale utilised a relationship with a junior soccer school coach Alex Warner (a Kingsdale first team player) for his soccer school to feed into the club with players to form a new side each season. The first junior side was set up in March 2013 and entered the Selkent league at under 7 level for the 2013/14 season. The team went from strength to strength over the course of their first season with a FA qualified manager/coach and a great set of parents that support and encourage all players from both sides that take to the pitch on a Sunday. Each season Kingsdale plan to introduce at least one side at Under 7 level to enable the club to grow an age group per season. Currently Kingdale have one under 10 team, two under 9 teams, three under 8 teams and two under 7 teams, with a third under seven team starting in January 2017, in the Selkent League. Kingsdale as a club have performed a number of regular charity events and have raised around £20,000 for Demelza Hospice care for Children (the club’s preferred charity) and raised money for Bowel Cancer UK. Kingsdale support their players to do charity work as we want to make sure we as a club feed into the overall community.The club hopes it will be an exciting and enjoyable journey for all the young players involved. We do not offer set birthday parties but we will undertake a party booking upon request dependent on schedule. Do you offer one-to-one sessions? This is something Alex will be looking to offer more in the very near future as slots become available.